High-quality aluminium telescope stand, ideal for quick changes in applications where working positions vary. Ideal for fast setup for various working positions. High quality, aluminium telescopic stand which clamps between floor and ceiling. 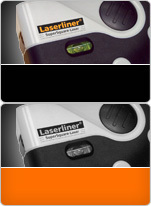 Enables rotation or cross line laser to be operated from required height in no time. Includes 5/8″ and 1/4″ adapters. Compact 5-part kit for easy transport. 5-piece design for easy transport.